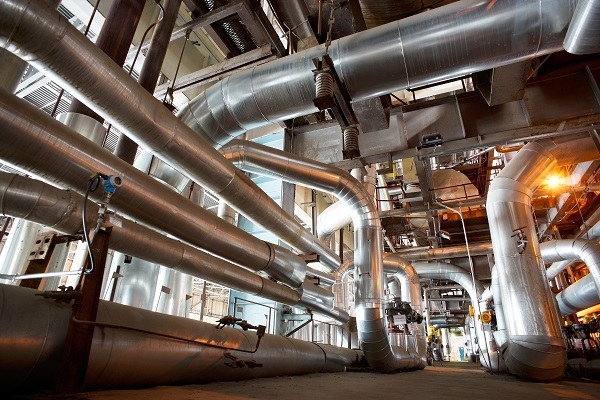 ECC provides customized industrial process control systems that handle all of the modern complexities involved in today’s industrial manufacturing. But your process must be implemented, then controlled precisely to accomplish the mandatory efficiencies in order to compete in today’s marketplace. Whether you need automation control for batch processing, continuous flow or a combination of both, we engineer our durable control systems with safety and quality outcomes to your industrial process control in mind. Many process industries have done their best to implement continuous flow production to save energy, production time and overall costs. The chemical, petrochemical and mining industries now widely leverage continuous processing for these advantages. Ensuring that there are no constraints that develop, such as time or sequencing, demand an electronic control solution that delivers. 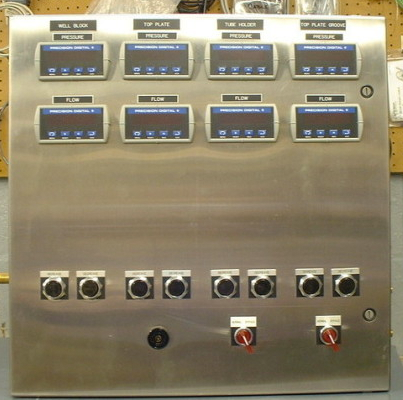 Require electronic control for your chemical process? You are probably using a variety of equipment such as filtration, distilling and evaporating. You may require one PLC or a series of them networked and communicating to one another. HMI’s and computer interfacing are added right into the control panel. Our team programs your required automation logic with cutting edge programmable logic controllers. ECC-Automation provides precise control throughout your industrial process control system. Nonetheless, many processes still require batch processing. Industries, such as food and beverage still require precision control for batch processing. ECC has engineered and installed control panels for batch processes that required switching brand labels for the same recipe of salad dressing. We have provided electronic control systems for batch processes requiring precise monitoring of sanitary conditions throughout the process, interfacing with clean room components and providing HMIs to configure and monitor all process movement. ECC-Automation control panels can manage your diverse industrial process, scaling up or down. Manage data coming from multiple/diverse systems across your manufacturing plant. Monitoring locally right at a specific piece of equipment and, or centrally for pulling data into a business intelligence system for overall utilization, accuracy, maintenance and general oversight. Continuous flow processing as well as industrial production today has increased the demand and prevalence of Robotic systems. Another area where Electronic Control Corp can help. Whether it’s an internal electronic control component installed within a robotic arm or machine, or a control system to oversee the sequencing of multiple robots on a production line – knowing resistance is futile, we can assimilate.